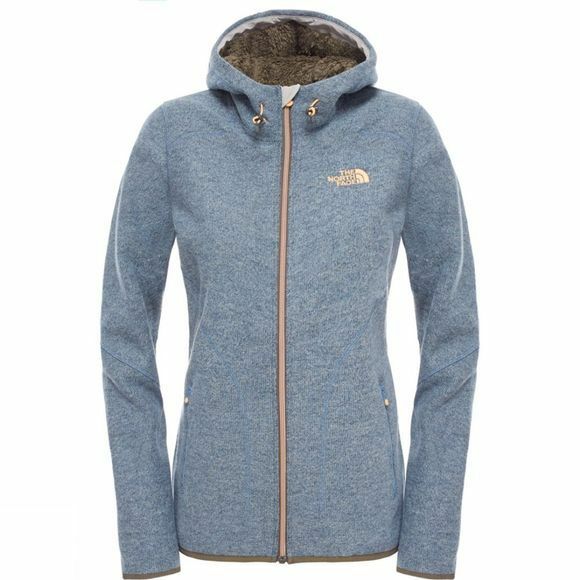 The North Face Women's Zermatt Full Zip Hoodie is a smart hooded jacket made from a warm, robust polyester and wool blended fabric with a fleece backing. 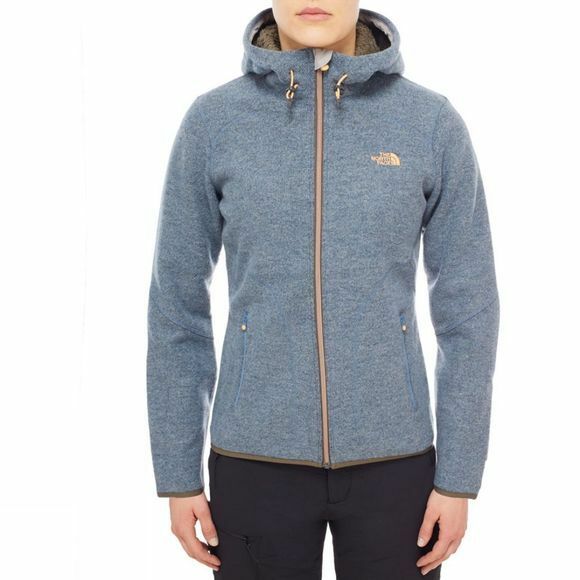 The jacket features an adjustable hem and hood to eliminate draughts and keep heat in. It also has two hand warming kangaroo style stash pockets. Embroidered contrast logos on the front and back combine with distinctive stitching detail to give this hooded zipped top a sharp look. This is a great option whether you are trekking, travelling or exploring the urban landscape.